Almost everyone would love to travel the world. It does not matter if you are planning to travel for years, weeks or only a few days, it’s obvious that you need money. Money really is one of the key issues holding people back from traveling more. 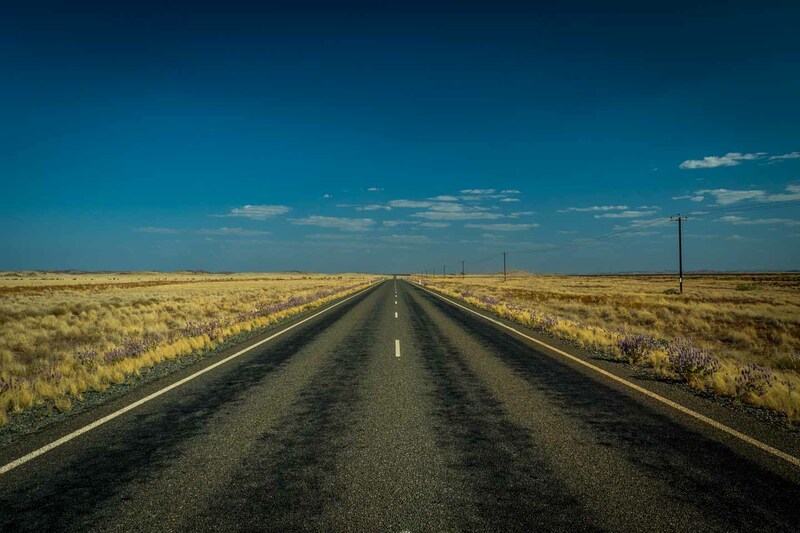 Here are some tips and tricks we hope might be helpful to get you to the destination of your choice. To travel on a low budget, there are two parameters you’ll have to observe closely: your earnings and your expenses. Actually it’s as simple as that. Unfortunately I can’t help you much with your salary. I, myself, struggled for a long time to get a job I like and could make a living from. I ended up having several jobs at once. Since I couldn’t make a career in my branch, I got stuck in working as a flight attendant, waitress and lecturer to finance my PhD studies. At some point I realized that it’s impossible to write on a doctor’s thesis while having three additional jobs. This was one of the reasons why I totally changed my life two years ago. To bolster your income, it might be worth to have a closer look on things you intend to declutter and throw away. From my experience it is really worth to take the effort and put those things on platforms like ebay, gumtree & Co. If you have broken items you can still sell them. Just make sure to declare them as faulty and make an honest description. You would not believe how much money you still get. Sometimes broken things score even higher than their intact opponent. Don’t bother to put small or non-expensive items like no-brand clothes or costume jewelry online. From what I experienced, it’s not worth the effort. Shipping cost might even exceed the selling price and will leave you with nothing but work. Instead, Nico and I collected those items and went to several flea markets to turn them into money. A garage sale is a good idea as well. Telling people about your dreams and plans is a great negotiation strategy and will not only earn you sympathy, but definitely a few extra bucks. Clearing out your wardrobes, you will be surprised how much stuff you own that you actually don’t need and haven’t touched in ages. 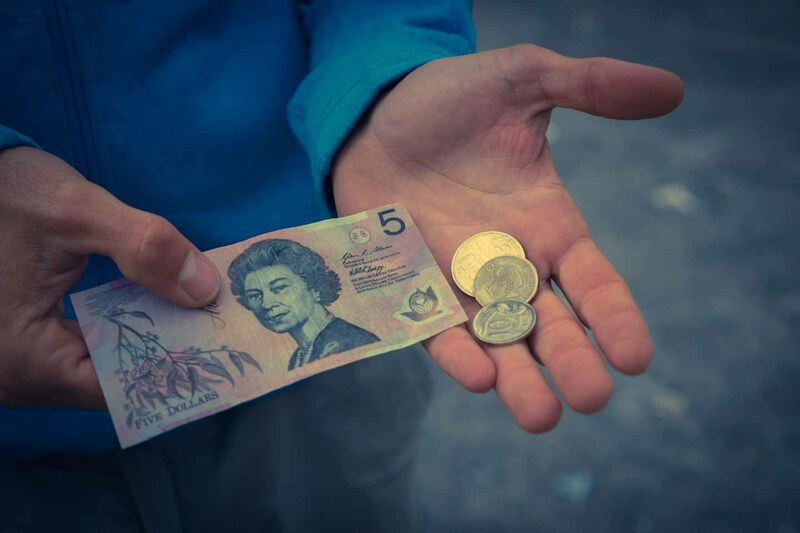 Turning your unused and unwanted items into cash will not only help to finance your travels, but leave you with a lot more space and a good and lighter feeling. Further, your trash might be someone else’s little treasure. Second to your income, have a look at your expenses. It’s helpful to see where your money is going and especially to know on what you are spending the most. 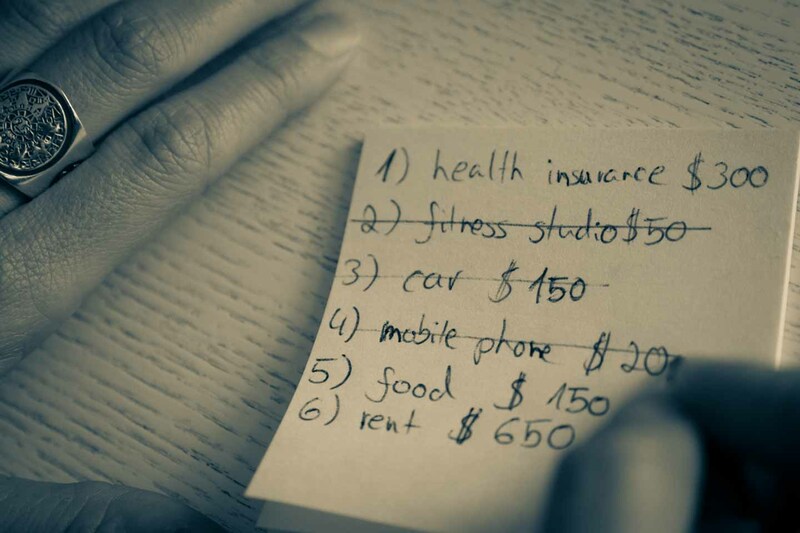 Take a piece of paper and make a list of all your fix costs. Find out which positions on your list are expenses you can eliminate or reduce. If you are planning to travel for a longer period of time, it might be worth to suspend your mobile phone contract, all kinds of subscriptions like fitness studio, pay tv, newspaper delivery and car registration. Be careful dealing with your insurances. Keep all the important ones like health cover, accident and third party liability insurance and make sure they are valid for the period and destination of your travels. Don’t trifle with annuity insurances and saving contracts. Many of those financial constructs are based on exponential growth and canceling or pausing early payments can have a huge negative impact on future outpayments. Usually the outward journey will be the very first expense of your travels. If you are keen to get a cheap flight, it’s worth to spend some time comparing quote requests and flight offers of the individual airlines. The internet really is a great and fast way to get an overview, even if you prefer booking through an agency. Make sure you are booking in time. I wouldn’t run the risk of trying to get a cheap last-minute flight as they are difficult to get. If you are flexible regarding the flight dates it can pay off to check different weekdays. It’s unbelievable how air fares can change from one day to another. Even if you found a great deal through a third party website or agency it might be worth to check the original airlines web presence offering the same flight. 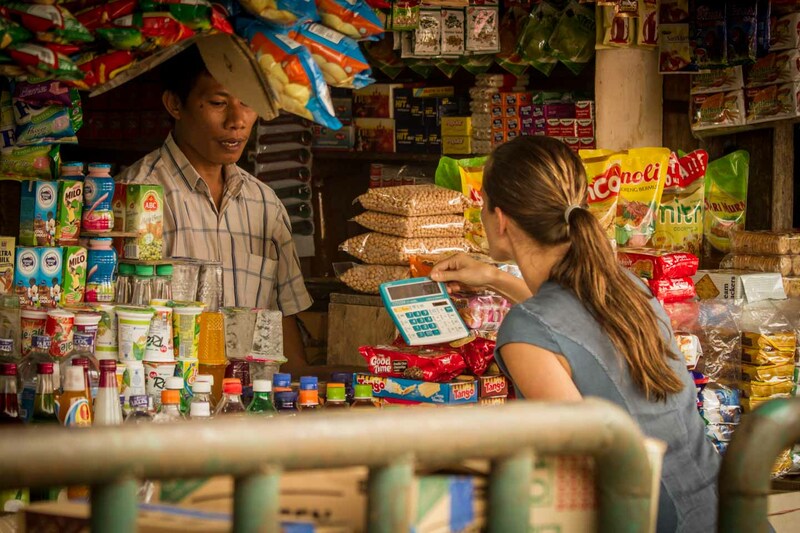 Most of the time we did well booking online, however in Sumatra we got far better deals using locally based travel agencies. 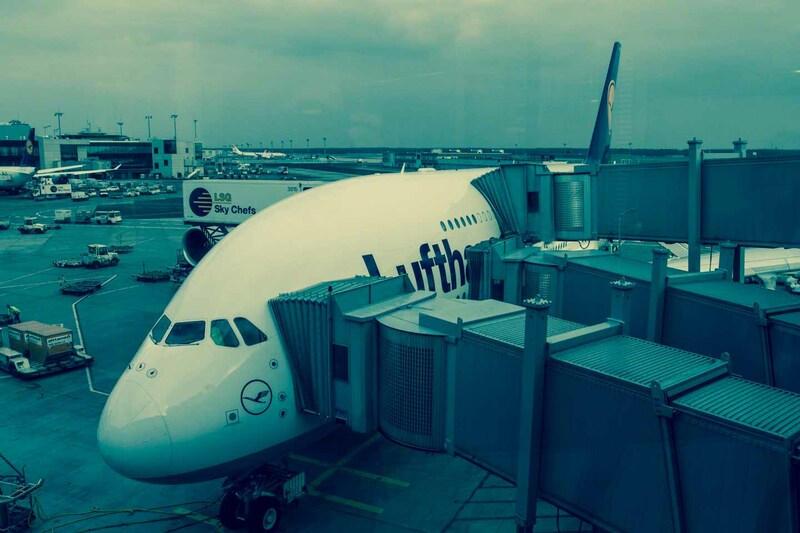 As a former flight attendant I can give you one more advice, which makes the boarding procedure so much easier: make sure your baggage is not oversized and too heavy. You will have to pay extra for every pound, which is avoidable. In the same time you really don’t want to carry all those things around. Believe me or not, we met so many travellers, who overloaded their backpacks and gave their stuff away after realizing it’s pointless to have a whole closet on their backs. Depending on your holiday destination, the most costly figure beside the flight is the accommodation. I bet a cheap and high-value accommodation is a desire every single traveller has. Apart from destinations like Southeast Asia, it will not be easy to find. Traveling in expensive countries like Australia and New Zealand can really bankrupt oneself. You can easily spend a fortune just on accommodations. Even caravan parks are ridiculous expensive. For us and our travel budget the most basic youth hostels were already beyond our price range. For this reason we free camped nearly all the time. Finding a camping spot is an act itself, but it’s definitely worth it. If you avoid areas where camping is not allowed, take all your litter, know how to properly bury your business and not cut down a tree just to have a spot for the night, you should definitely consider wild camping. By the way: to have a shovel makes life much easier in the outback or on campgrounds without any facilities! To find a spot for the night, we usually drove out of town, into forests or used small back roads. Wild camping is an act of respect towards other people and nature. Try to not disturb anyone and treat everything like you would love to be treated yourself. 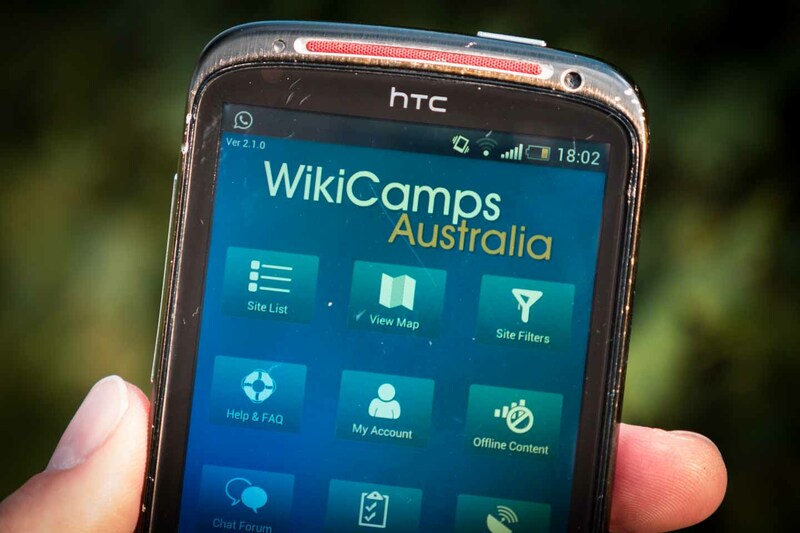 Especially for Australia and New Zealand the app WikiCamps can be of some help and is easily installed on your mobile phone or tablet. 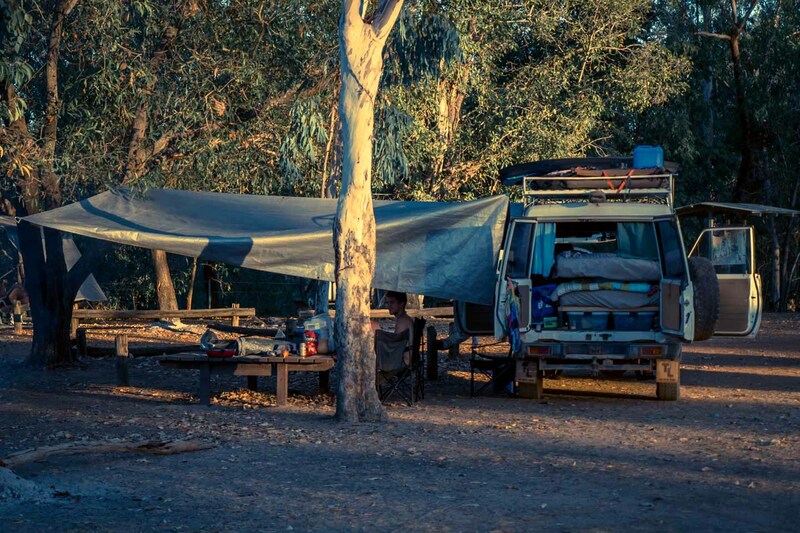 It helps you to find free campsites, free showers and attractions nearby as well as caravan parks, backpacker hostels and paid campgrounds. Be aware though, free campsites can be overcrowded as the app is well known and cheap to get. As things are now it’s a one time purchase of around AUD $7.49. If you are traveling for a longer period, it is just perfect to use one’s own means of transport. Buy your own car or camper and sell it afterwards! It’s so much cheaper than any rentals or offered tours, just keep an eye on what you buy. In Australia for example we bought a Toyota Landcruiser. It was in good condition and served as two in one: our transport and home. We had an integrated bed, which made traveling so much easier. 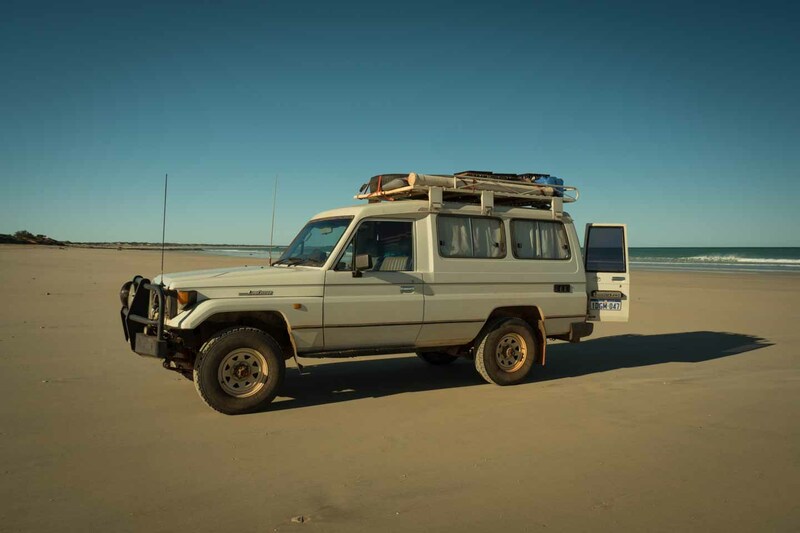 It was a 4WD, a must-have in Western Australia and the Northern Territory. Without off-road capabilities you will miss out on the best nature experiences. Just take the Gibb River Road itself as an example. You shouldn’t even try to do it in a 2WD. It’s an unsealed, gravel road of 660 km without the turn offs. To get a rough idea, have a look at our Bungel Bungels blog entry and the video. Keeping the costs for fuel low, starts with buying the right car. Less fuel consumption and energy efficient driving will give you the biggest savings. Further it’s always worth to compare fuel prices and look for local saving-offers. In Australia we found discounts for up to 14 AUD cents per liter at Woolworths, Coles and Co. Spending more than 30 AUD in one of those stores will give you a special offer on your receipt. Just make sure your receipt is still valid while redeeming. If you don’t have to buy any supplies, have a closer look in the bins nearby those supermarkets. We usually found a valid receipt. If you have some spare seats think about offering rides to other travelers. A great way to get to know some like-minded persons and save a few extra bucks. Just like accommodation food is pretty expensive, not only down under. Eating out all day will drain your money as quick as spending the night in a hotel. Even small things like a coffee to go or a quick snack will add up and sooner or later burn a hole into your wallet. 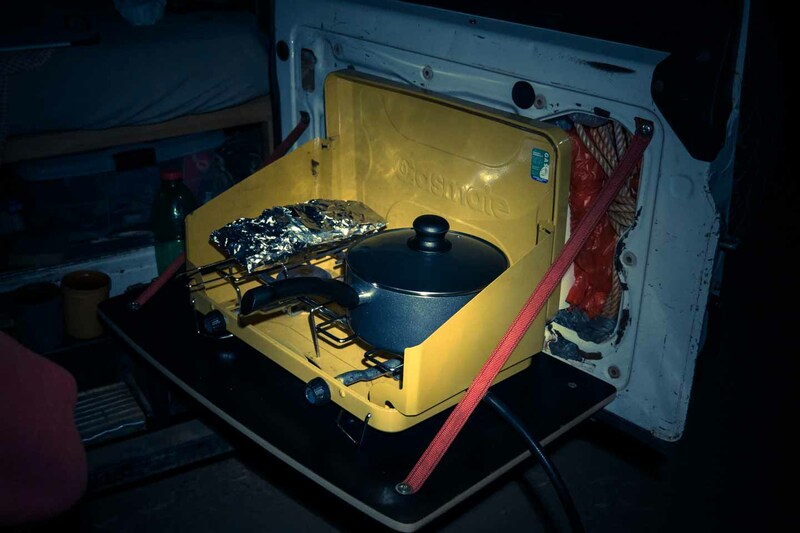 We invested into a double flame camping cooker at the beginning of our trip and cooked for ourselves throughout the whole journey. Like with any investment it makes a lot more sense to buy things at the beginning of your travels. This way you get to use them the whole time and you have a greater benefit for your money. Regions with cheaper costs of living like Southeast Asia are written on a different page. For most travellers accommodation, food and transport are more affordable and likely much cheaper compared to their home country. Nevertheless, don’t forget to bargain. At least in very touristy locations like Thailand or Bali make sure to negotiate prices. It’s not always about saving money, but bargaining is a local habit and prices are settled higher straight from the beginning. You don’t have to feel bad about it, either. 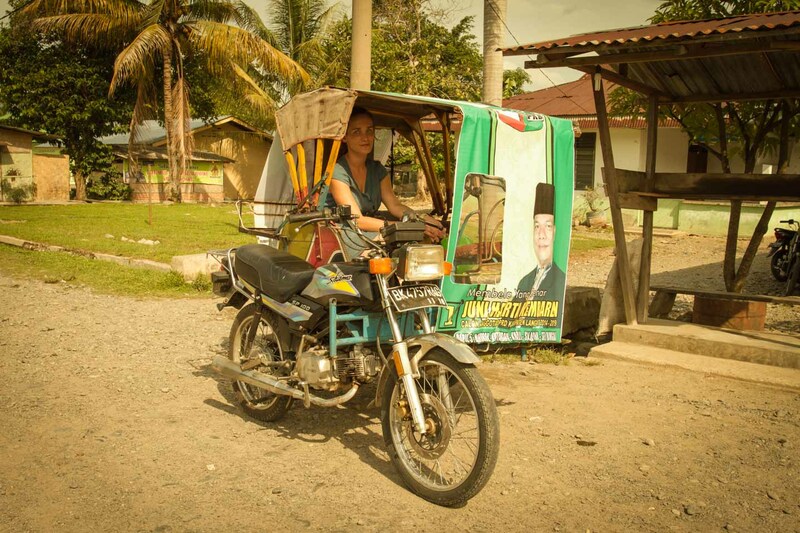 Quite contrary, adapting the local behavior can help to maintain the regional infrastructure. On a long term perspective paying to much will lead to higher prices for the locals as well. As a result they can no longer afford their way of living. For example, in contrast to Europeans, people in countries like Bali, Thailand and China were used to take cabs on a regular basis. Owning a car was and still is reserved for the rich people. 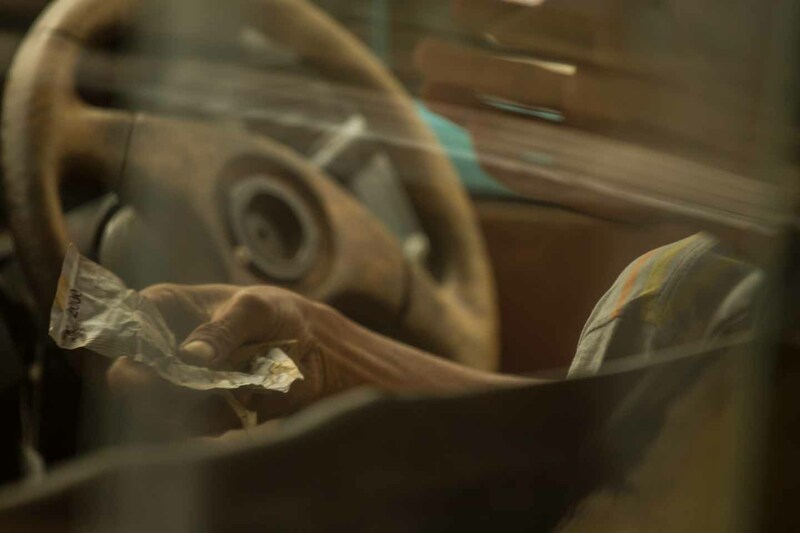 Nowadays taxi driver rather wait for one tourist paying up to 10 times the local fare than driving locals all day. Taking those small advices, traveling is much more affordable than you think. If you keep an eye on your money and are willing to resign on a few things you will be surprised on how less money you can survive. Saving money to get around the world is a great thing, but don’t be too penny-pinching. 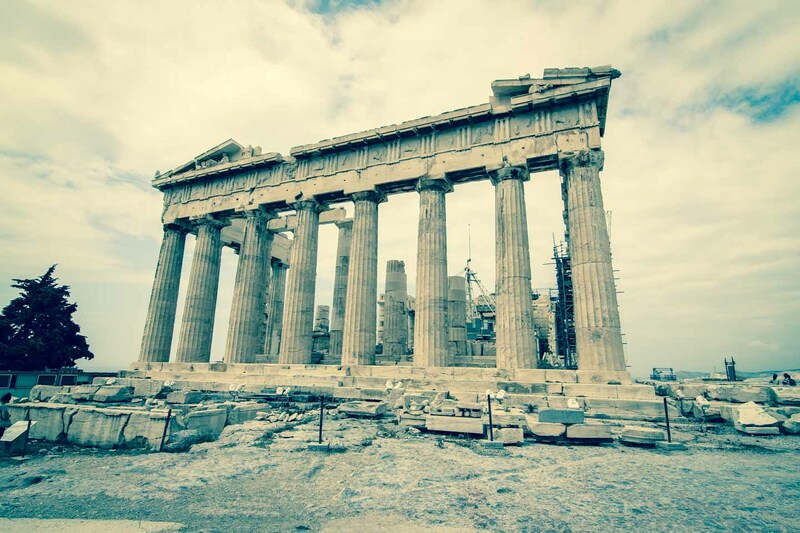 If you are not willing to pay the entrance fee to the Acropolis there is no sense in visiting Athens in the first place. No matter what your budget is, it’s still all about enjoying your travels and yourself.